Artisan-crafted collection of professional makeup brushes flawlessly covers all the curves and corners of your face (lips, eyes and cheeks) with foundation, color and contouring for a luminous, camera-ready complexion. Ultra-soft, cashmere-like bristles atop an innovative, magnetized steel stand keeps brushes clean, organized and perfectly shaped... always. Blush, bronze, blend and contour. The soft, full head of this brush is expertly tapered for sublime precision. Sweep powder in a "3" formation on each side of your face to spotlight forehead, cheeks and jawline... no harsh lines in sight. 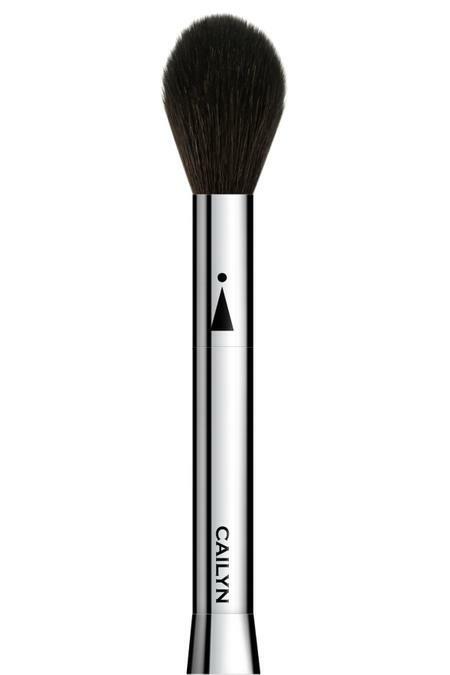 · Brush 17 (Coverage) in Cailyn's iCone professional collection. · Ultra-soft, densely packed bristles with a cashmere-like touch. · Magnetized steel stand keeps brushes clean, organized and perfectly shaped.